Few ingredients can be as ubiquitous, raunchy and intense, yet all the while delicate, complex and heroic as garlic. The cloves of Allium sativum are indeed a sophisticated bit of phytochemistry. It is loaded with heaps of pleasure inducing flavonoids. 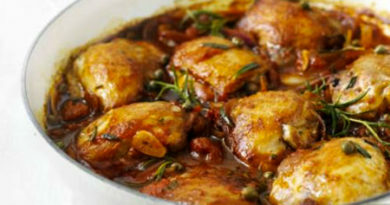 Not only does it taste amazing but also confer a wide array of health benefits (e.g. blood pressure reduction, cholesterol reduction). 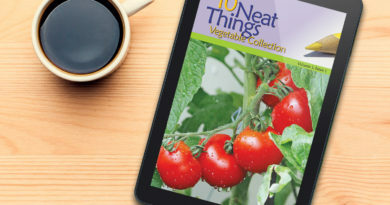 The pungent oils are also associated with everything from discouraging vampires (which may or may not actually work…) to serving as a versatile garden-mate in companion planting strategies. Garlic is a herb to love and definitely one to grow. In northern regions, the go-to garlic for home planting is called “hardneck”. 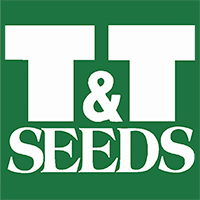 This is in reference to the sturdy structure known as a scape that shoots up through the middle of the plant each summer, ending in a flower-like structure full of baby bulbs (bulbils). Hardneck garlic is from the sub-species Allium sativum var. ophioscorodon and, it is worth noting, that chefs and garlic connoisseurs the world over consider hardnecks to be the most flavourful garlics on the planet. 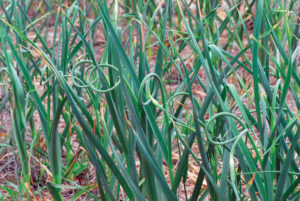 Hardneck garlic thrives where winters are cold and not where there is too much warmth. We live in an ideal climate to grow the best garlic in the world. By contrast, the last grocery store garlic bulb you purchased was likely a “softneck” garlic, which hails from warmer climates and lacks particular charm. Softneck garlic has good storage qualities, and tends to have easy peel, plump bulbs which have made softneck the market champion in Canada since the 1990’s (actually mostly due to cheap production outside of Canada. 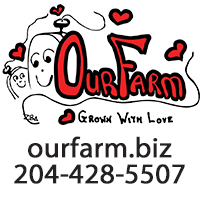 Garlic farms in Canada dropped from 4,500 acres to less than 300 acres between 2000 and 2002). 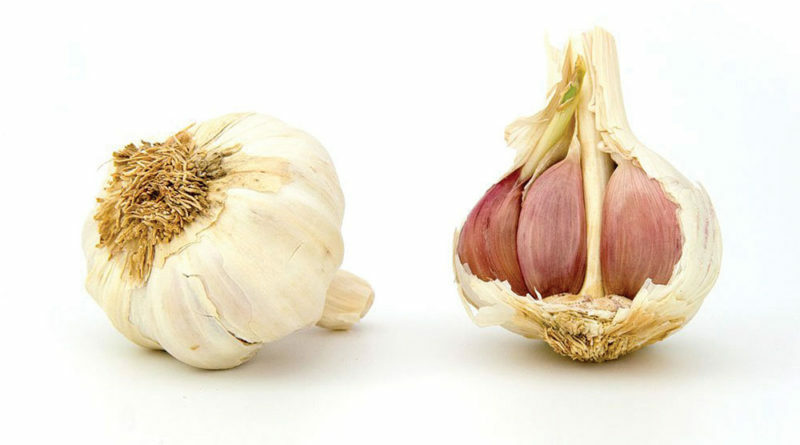 But there is no comparing the flavour of softneck to hardneck garlics – and great garlic is making a spirited come back. To find the very best garlic look for the trifecta of hardneck, organic and heirloom. Planting garlic with strawberries is a great space saving strategy. Garlic is grown from bulbs, commonly referred to as “seed garlic”, which is a little confusing since garlic almost never produces true seeds. Just as with potatoes, there are many benefits to planting garlic from professionally grown stock. Seed garlic growers’ work hard to produce quality propagation material. and this is reflected in the price when compared to table garlic, but the benefits of ideally sized, disease-free and true-to-name bulbs are well worth the cost. 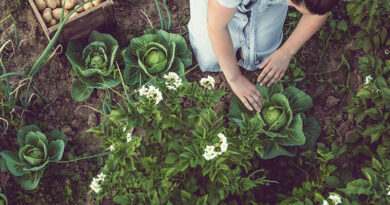 Once a hardneck crop is established, home gardeners can also use home-harvested bulbils for replanting. Although garlic will sprout if planted in spring, the only way to get a fully mature bulb in our region is by planting it in fall. Timing is actually very important, since prairie weather has a bad habit of going from gorgeous to ghastly in a hurry. The first task of a freshly planted garlic bulb is to set out a strong root system, and avoid shooting above ground at all cost (fall shoots are a big vulnerability that generally leads to winter kill). 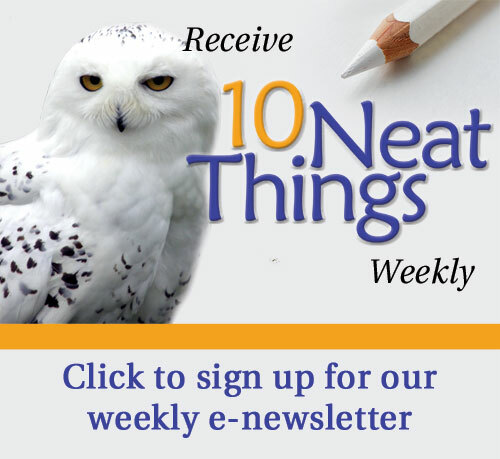 Start planting around the first week of October – but no earlier. Cool, frosty nights send a clear message to keep shoots tucked inside the bulb, while the accumulated warmth of summer lingers for months in the soil, allowing roots to grow even as snow arrives. A well-developed root system is what sets the stage for garlic to poke up early in spring, established and ready to grow into a prized harvest. 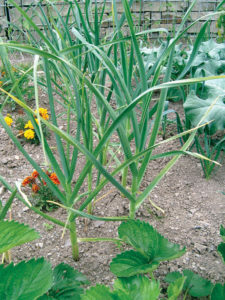 Garlic thrives in well drained, loamy soil with lots of compost mixed in. An excellent strategy is to amend garlic beds with compost and leaf litter each fall, ahead of planting. The bulbs can be planted into the ground or into low raised beds (minimum 4 ft. by 4 ft. by 11 in. high), but may not survive winter when planted into other types of containers. Garlic requires a sunny location and ideally beds should be maintained, weed free and have access to early summer irrigation. 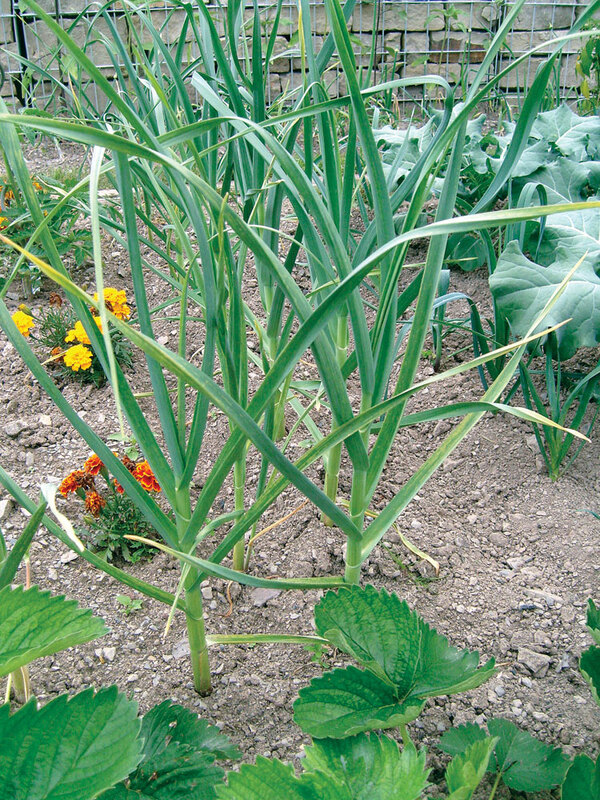 Although garlic is unhappy in a weedy bed, it can grow very successfully tucked in among smaller companion plants such as strawberries (a great space saving strategy). The most important consideration when choosing a site for garlic is to avoid soggy ground or areas that do not get good air movement. Growing garlic in the home garden is easy, except where the bulbs are subject to poor soil aeration. Space garlic eight inches apart if you have room when planting them. Planting is simple: gently push individual cloves approximately four inches into the soil, with the pointy side facing up. With hardneck garlic the pointy side must face upwards. 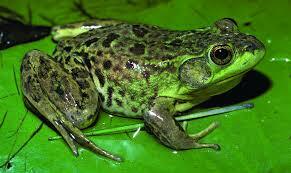 Otherwise, plants will grow at an angle which causes trouble for the crop in spring. Leave the papery wrapper on the cloves as you plant. Space bulbs eight inches apart if you have lots of room; tighter spacing yields many smaller cloves while larger spacing encourages the largest cloves. A sprinkle of bonemeal is recommended at time of planting, as phosphorous is the major nutrient associated with root development. Mulching of the garlic bed is wise, as this alleviates the likelihood of garlic sending up shoots in fall. A thick layer of leaf mulch is perfect, up to four inches. Not only will this provide insulation, but the leaf material will ultimately break down and become a nutrient and beneficial micro-organism resource for the crop. Come spring, the to-do list includes weeding and watering. 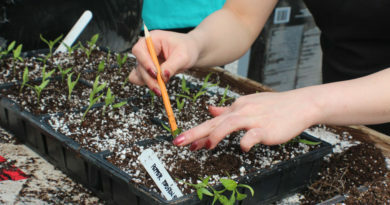 The beds require even moisture in the spring and early summer (through to mid-July) so pay attention to watering if spring is trending towards dry. Topping the planting site with quality compost in May will not require additional fertilizer afterwards. Pretty easy! The next exciting phase in the garlic growing process comes as the scapes snake their way up into the July garden. There is full on disagreement about whether or not removing the scapes influences the size of the garlic bulbs come harvest time. 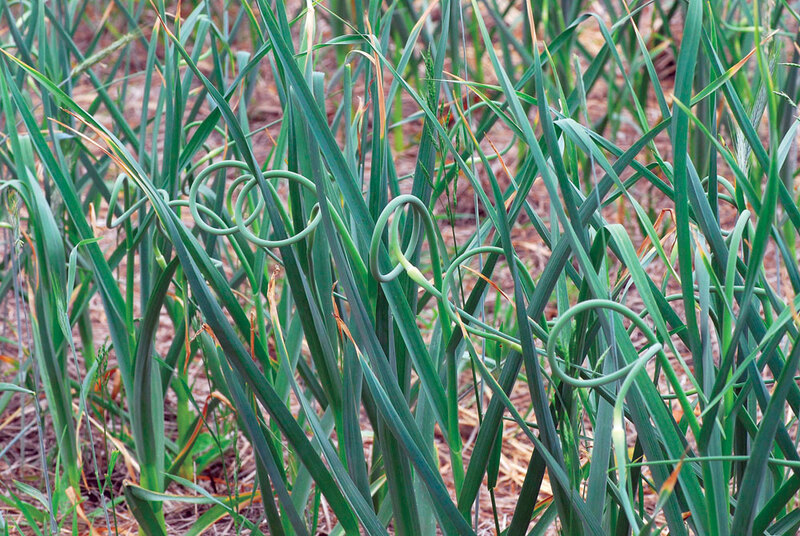 One thing is for sure: garlic scapes are a tasty bit of foreplay ahead of the main attraction. If you decide to snip off the scapes they can be prepared in a myriad of delicious ways, all of which are profoundly garlicky. The easiest is to simply steam them and add a little butter and lemon juice. Another is to sauté them, alone or with other summer veggies. Garlic scape pesto is a wonderfully straightforward path to accolades from your dinner guests. If you decide to leave the scapes on, the advantage is the formation of the bulbils which can be saved for the long, but reliable, goal of growing lots more garlic. Perhaps the best way to resolve this scape or no scape issue is to experiment, and leave some on while clipping others off. As July turns into early August garlic will develop broad leaves. With each set of leaves corresponding to a layer of wrapper on the developing bulb. Within a couple of weeks the first set of leaves will start to yellow. This is the big clue that harvest time has arrived. 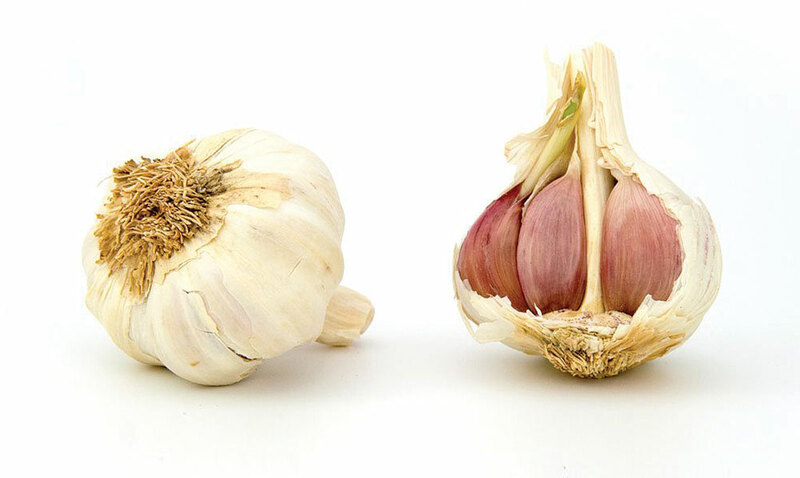 Garlic cloves will start to break apart from the tight bulb if left in the soil for an extended period. This significantly diminishes the storage life. Each season has its own course. Keep in mind the flexible nature of harvesting and get to know the signs of mature garlic. Perhaps the most delicate part of growing garlic comes at harvest time. It is easy to damage the bulbs. Each nick or bruise can cause the crop to spoil. 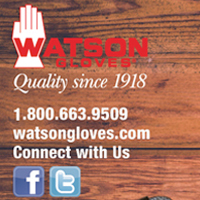 The perfect tool for home garlic harvest is the hands. Use your fingers to gently feel your way around the bulb and lift from the base up. Avoid pulling plants up by the leaves or scape. Tap off any loose soil carefully (but no deep cleaning just yet) once the bulbs are out of the ground. Set aside for curing. Curing is the process of slowly air drying the bulbs, with leaves and stock left in place. The ideal location is a screened porch or gazebo. Or any place where lots of air passes through and there is shelter from direct sun and moisture. Hardneck garlic is very difficult to braid. Bunch them loosely and hold together with string. A handy technique is to hang the garlic off of a wooden clothes drying rack, or off the rafters in a suitable building. Some growers let garlic cure in the garden. This only works if there is no chance of rain for at least a two week period. So, go for the sheltered location! Trim off the leaves, stalk and roots once curing is complete. Leave about an inch on top and half an inch on the roots. The storage life of well grown and harvested hardneck garlic ranges from four to nine months depending in the variety. Garlic is too easy to grow. Don’t miss out on this gorgeous homegrown taste. It is one of the BIG opportunities for the fall gardener. Happy planting. Dave Hanson is a gardening columnist and media personality with a lifelong love of all things herbal. 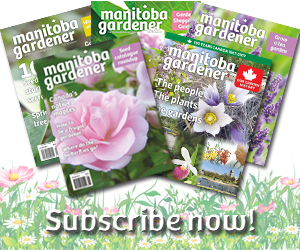 He is also co-owner of Sage Garden Greenhouses in Winnipeg, Manitoba. 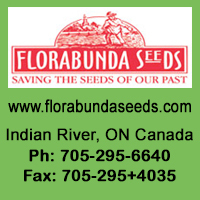 For more information visit herbs.mb.ca.